In 1964 the ladies of the Mocks and Advance communities met on a Thursday night at 7:30 to organize the first of many Advance Fireman’s Auxiliary. The meeting was held at the home of Mrs. Otis R. Hoots. Officers of the 1st Advance Fireman’s Auxiliary: President-Mrs. Pat Jones; Vice President-Mrs. Ruth Hockaday; Secretary-Mrs. Sally Barney; Treasurer-Mrs. Neil Lee Burton; Reporter-Mrs. Kay Carter; Historian-Mrs. Lib Carter; Chaplain-Mrs. Ruby Markland. After a disastrous fire on December 14, 1951 which destroyed one house and threatened two others, the community realized a real need for a fire department. The need was discussed at the civic-club in 1952 and by spring plans were being formulated. In November of 1952, a second hand truck chassis was bought and a 1140 gallon water tank installed on the truck. The truck was parked in front of Potts store and a peanut was auctioned which brought out a large crowd from the community. The peanut was resold several times, the last time to the late G.A. Potts for $41, who was allowed to keep it as a souvenir. The sale of the peanut, along with donations, amounted to approximately $700. 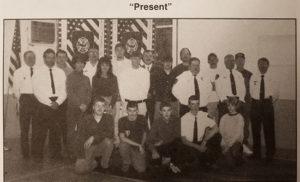 The land for the fire station was given by the late Johnny Smithfield to the Advance Methodist Church and then leased for 99 years to the fire department for the sum of $1.00. A building was erected large enough to house two trucks and equipment and equipment was added to the truck a piece at a time. M.L. Mullis served as the first fire chief and G.A. Potts as assistant chief, and Hubert Bailey as President of the organization. In 1952 this was the only fire department in the county with the exception of the municipal fire department of Mocksville. 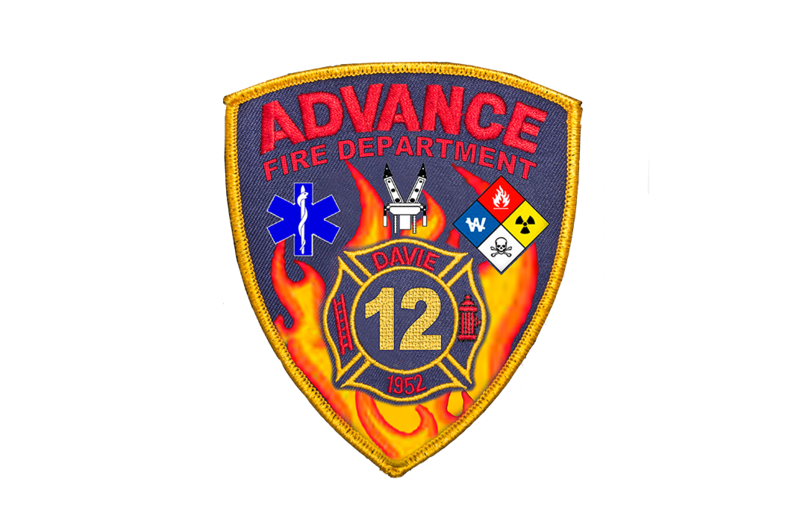 Since then the Advance Fire Department has purchased much newer equipment.